On January 9, 2007 Steve Jobs announced the iPhone. This device, and the other phones and tablets it has inspired, clearly changed the way many of us live our lives. At the time it was impressive technology, but there were many problems with it. To me, the most impressive thing about the last seven years is not that Apple created a whole new approach to smart phones. The company, known for its determination to get things right, was willing to release the iPhone before it was perfect… and has spent the last seven years practicing kaizen, incrementally improving the iPhone. The cheapest iPhone cost $499 in 2007. The cost of the iPhone has continued to be an issue, but the original price was scary high at a time when most of us spent far less time with our phones. 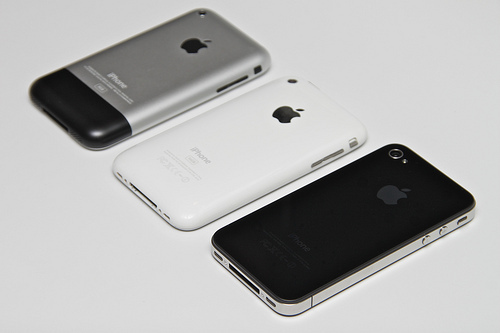 PCMag called it a revolution for the few, declaring the iPhone a niche product. Now one can have a new iPhone for $99. Though 3G connections were available on other smartphones, Apple launched the iPhone with an Edge connection. Those who already had fast data were unlikely to give it up. It took another year for the iPhone 3G. Now Apple has fully caught up, first with 4G and now LTE. What?! Despite introducing several new types of interfaces with the iPhone, there was no way to copy and paste text. That took over two years to come. It took a long time for the iPhone to get turn-by-turn directions, but that wouldn’t have even worked on the original iPhone. The 2007 model used cell tower and WiFi triangulation to determine the placement of the blue dot on the map. The first iPhone was only available on Cingular (later rebranded as AT&T). It is now available on a number of carriers world-wide. Will the iPhone support Word, Excel and PowerPoint documents? Jobs says you can synchronize the iPhone with e-mail — and even pointed to IMAP support, including Microsoft Exchange — but what about attachments? Without support for standard office documents, the iPhone is a non-starter for most business users. I rarely receive attachments that are useless to me these days. That’s perhaps helped by the next item. Not much to say here. I barely remember life without apps. In fact, I don’t remember much about my pre-iPhone life. I guess I used to phone in tasks to myself rather than add them to a to-do app. And I took photos with a camera? My post about the iPhone in 2007 focused on the lack of a physical keyboard as a choice Apple made for simplicity. While that was seen as a negative by many at the time (“the letter keys are just pictures on the glass screen“), people got used to it. But many more issues with that original iPhone were short-term shortcomings. There are many ways to be inspired by the iPhone as a product. The one I celebrate on the seventh anniversary of its launch is all the ways it’s been improved, a little at a time. What can you launch even if it’s not perfect? Let’s say you’re visiting a friend in a nearby city, driving by car to get there. How do you know when to leave? Well, that depends when you want to get there, right? For some reason, when planning a trip it is natural to work backwards from the end result. If you want to arrive at noon and it takes an hour to drive there, leave at 11. 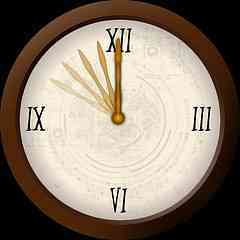 You’ll need to allow another 30 minutes to stop and pick up a gift, so that’s 10:30 now. And it always takes 15 minutes to load up the car, so 10:15. For other goals and achievements it doesn’t seem to be that simple. This year, as part of my effort to get better at one thing, I’m trying to begin with the end in mind. And it’s been challenging. I often find myself returning to my old ways. What does this look like when complete? How do I feel once I’m done? How have I changed when I’ve finished? What are the assumptions I am making? 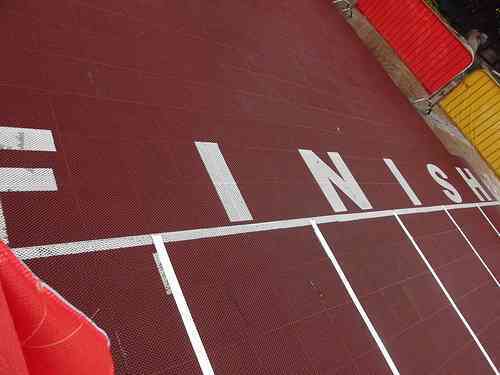 I’m not a runner, but I know the hardest part of running is the start. In fact, it may even be earlier. I’ve heard it said that putting on your running shoes is the most important part of being a runner. Yet, the end is also key. You probably want to know how far you will run. Just setting out running is a good way to avoid procrastination, but how do you know the run is over? How do you know you haven’t short-changed yourself? Or exhausted yourself? Forward progress feels good, but it might not be the progress you need. That’s why I’m trying to think first about the end and work my way backwards. What are some ways you have done this effectively? Just about every day I have at least one new idea. New ideas feel really good. With a new idea, everything is possible, nothing can stop me and there are no barriers in the way of everybody instantly seeing its value and adopting my new idea. Along with every idea comes a name. Names are important. For example, I have been in three bands in my lifetime. There were another 84 bands that I wanted to start, but we never found a name. With these ideas I have, they’re usually accompanied by a name. And sometimes I really, really like the name. When the domain version of the name is available, the urge to buy is strong. Remember the false optimism about an idea? It pushes me to make the purchase. Buying a domain name for a new idea releases dopamine in your brain. Almost certainly no study has shown the previous assertion to be true, but obviously it is true. My own assessment of pricing pages on no fewer than two domain registrars has shown that buying a domain name costs money. Buying multiple domain names costs more money. And buying multiple domain names for every idea I have, then continually renewing them… that costs yet more money. 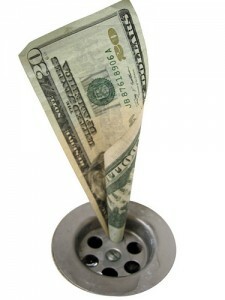 I discovered a method for solving this issue of buying domain names for projects that never go anywhere. I just don’t buy the domain names. This leaves me with more money, though less dopamine. Instead of buying a domain name for today’s amazing idea, I give myself a goal: create a prototype for this can’t-miss idea and as a reward I get to buy the domain name. Yes, that means someone could register the domain name out from under me. That’s why I should move quickly. Should. The reality is I rarely move quickly. After all, there’s a new idea tomorrow. Your mileage may vary. Results not typical. Use only as directed. Keep in mind that this is how much I saved in just one year of instituting my prototype-first rule. I actually have been at this for several years. For example, when I launched unrut, I sat on that domain name for six weeks. I put together the prototype and only when it was done did I allow my hands on that five letter, pronounceable, brand-able domain name. Setting this rule has been useful for me to avoid habitual domain purchases, but also harness my energy toward the projects I am most likely to finish. What are your tricks for making the most of your best ideas? What blows eight minute abs out of the water, according to a crazy hitchhiker in Something About Mary. “Seven minute abs.” But he didn’t go far enough. How about two minute anything? It’s an off-shoot of the Getting Things Done philosophy. Think of any project, even large projects, in terms of the next action. I often spend my two minutes making a list of all the little actions necessary to move a project forward. Sometimes I am able to pass those off to Fancy Hands. At the very least, seeing everything in one place helps relieve stress. Reality is rarely as daunting as the one I’ve imagined for myself. 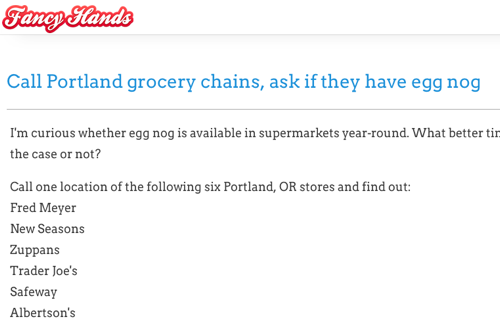 Six grocery stories in Portland have confirmed what I assumed was true: they only sell egg nog during the U.S. holiday seasons of November and December. Finding this out became one of the more outlandish tasks I’ve given to Fancy Hands, a virtual assistant service I have been using this year to simplify my life. It started with a conversation over egg nog–probably spiked with rum–over the holidays. Sipping the thick, sweet, milkish liquid, I wondered whether I could get it in a decidedly non-holiday month. So, I quickly added a task to Hiveminder and set a due date far in the future. When it popped up in my todo list, I laughed aloud, thinking back to my silly December self, the only one in the house slurping down this beverage with an acquired taste. I didn’t want to let December-me down, but August-me had plenty of work to do. That’s when I gave the task to Fancy Hands. Sure, I could have called one store and probably had the answer I needed. But I decided to know for sure I needed a mix of specialty grocery stores and larger supermarkets. And it took me less time to write out the instructions than it would have to make even one of the calls. I pay $45 per month for 15 tasks. So, yes, it cost me $3 to find out that I’ll have to wait several months to buy egg nog. And given what I know about myself, I might have spent awhile making those calls myself (at least seven minutes, according to Fancy’s log). Even worse, what additional time sink did I avoid by not even starting the research, which easily could have ended with me reading up on the history of egg nog or looking for specialty online retailers who could overnight me a quart any time of the year. It’s a struggle, but my goal is to use Fancy Hands anytime I open a new browser tab and begin typing a search query. That said, my most common task this year has not involved research. I have used Fancy Hands about twenty times this year to schedule (or reschedule) doctor and other appointments. Those are the sorts of things that stay on my todo list for multiple days. The best part about that type of task is that it’s free. Anything that ends up on a calendar does not count against my monthly tasks. The assistants are U.S.-based and often offer suggestions beyond the task. When I was looking for some temporary housing, the assistant let me know about her favorite neighborhoods from her experience in the city. And when my task to find egg nog in August came up empty at all six grocery stores, the assistant linked to this video (embedded above) that teaches me how to make my own egg nog. Now if only Fancy Hands would come to my house and clean it for me. (Oh, there’s a service for that, too).